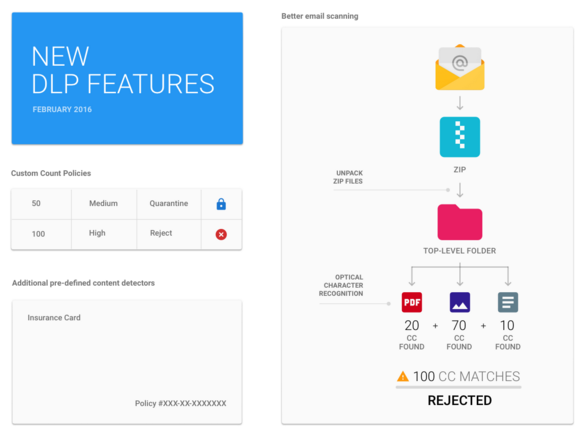 Last year we launched Data Loss Prevention (DLP) for Gmail, providing Google Apps Unlimited customers with another layer of protection to prevent sensitive information from being revealed to those who shouldn’t have it. Gmail DLP automatically checks all outgoing emails according to policies set by the Apps admin and prompts the appropriate action. Sensitive information can reside not just in text documents, but in scanned copies and images as well. With the new OCR enhancement, DLP policies can now analyze common image types, and extract text for policy evaluation. Admins have the option to enable OCR in the Admin console at the organizational-unit (OU) level for both the Content compliance and Objectionable content rules. Our Work customers span the globe, and we are committed to providing customers in all countries with plug-and-play DLP policies. Towards this goal, we are pleased to announce the introduction of new detectors which cover personally identifiable information (PII) in several additional countries, and provide better coverage for HIPAA data as well. Count parameter - The count parameter allows customers to set up different DLP policies based on whether a message contains individual or bulk PII. For example, an email containing a single credit card number might be considered a low risk event, while one that contains 100 credit cards is clearly a high risk scenario. Confidence parameter - The confidence parameter lets the customer tighten or loosen detection criteria for the most commonly used detectors as per their needs. Check out the Help Center links below for more information on Gmail DLP and these new features. Stay tuned as we bring DLP to Google Drive later this year. Note: Gmail DLP is available for Google Apps for Work Unlimited customers only. This entry was posted in Apps Feed Blog and tagged apps, Control Panel, Gmail, Rapid Release, Scheduled Release on February 29, 2016 by Jane Smith. I’m quite excited to be speaking at the RSA Conference this week in San Francisco, joined by thousands of security professionals from around the world. If you’re attending RSA, please visit Room 2004 at 2:20 p.m. tomorrow. I’ll talk a bit about my experience in the security industry and share some of the challenges and advantages I’ve experienced protecting users and customers at Google. 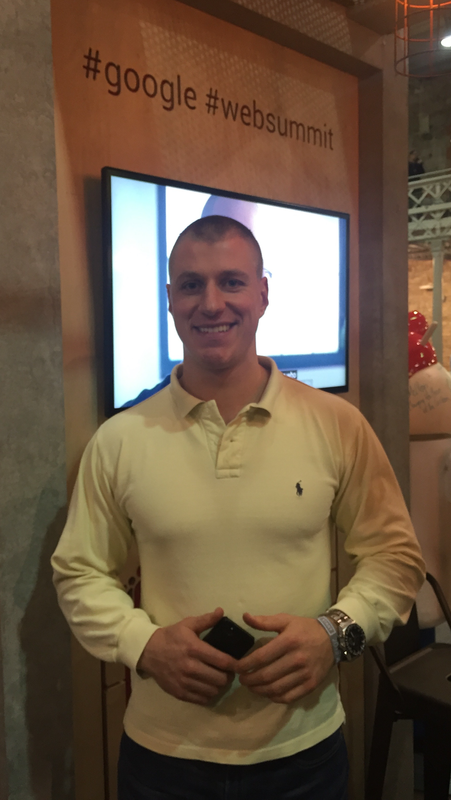 Like many professionals visiting the conference, I became interested in security many years ago because it was a challenging, exciting and intellectually fascinating area. Back then, very few of us could have predicted how those challenges would grow in scale and complexity. But the technology available to address those challenges has also evolved, and today I see a safer Internet within reach. When we think about innovation at Google, most of us think about balloons delivering wireless access or driverless cars. But for many years, we've been innovating at scale with security as well. Google has a long history of accelerating innovation and facilitating the adoption of new technology — like two-step verification (2SV), Security Keys, SSL encryption and even removing spam in email. Remember when spam was going to cripple email in the 90’s? Today, spam is down to less than 0.1% for the average Gmail user — one of the earliest and finest examples of applying massive computing power and machine learning to solve a big security challenge. We believe technology can help solve more of the challenges we face. For example, today we’re adding new features to our Data Loss Prevention solution in Gmail. For users, security should just work. Because sensitive information can reside not just in text documents, but also in scanned copies and images, DLP for Gmail now uses Optical Character Recognition. We've also introduced additional detection parameters for fine-grained policy control and offer broader coverage of HIPAA data and personally identifiable information (PII) globally. Many of us today see how large cloud providers play an increasing role in keeping our important information secure. At Google, we’re certainly putting our shoulder to the wheel. To learn more about Google on security, check out my recent roundtable discussion on Medium. See you tomorrow in San Francisco! This entry was posted in Google for Work Blog and tagged Google for Work, Google Security Key on February 29, 2016 by Jane Smith. It’s that time of year again! We are pleased to announce the mentor organizations accepted for this year’s Google Summer of Code (GSoC). Every year, we have many more great projects than we can accept — 2016 was no exception. After carefully reviewing 369 applications, we have chosen 180 open source projects, 24% of which are new to the program. Please see our new program website for a complete list of the accepted orgs. Over the next two weeks, students interested in participating in GSoC can research each of the organizations. The student application period begins on Monday, March 14, 2016 at 19:00 UTC and ends on Friday, March 25, 2016 at 19:00 UTC. Interested? Start by reviewing the Ideas List from each organization to learn about the organization and how you might contribute. Some of the most successful proposals have been completely new ideas submitted by students, so if you don’t see a project that appeals to you, don’t be afraid to suggest a new idea to the organization! There are contacts listed for each organization on their Ideas List — students should contact the organization directly to discuss a new proposal. We also strongly encourage all interested students to reach out to and become familiar with the organization before applying. For more information, visit our website for a full timeline of important dates and program milestones. We also highly recommend all potential students read the student manual and the FAQ’s. Congratulations to all of our mentor organizations! We look forward to working with all of you during Google Summer of Code 2016! This entry was posted in Open Source Blog and tagged gsoc, Open source on February 29, 2016 by Open Source Programs Office. In July 2014, Google and the IEEE launched the $1 Million Little Box Challenge, an open competition to design and build a small kW-scale inverter with a power density greater than 50 Watts per cubic inch while meeting a number of other specifications related to efficiency, electrical noise and thermal performance. Over 2,000 teams from across the world registered for the competition and more than 80 proposals qualified for review by IEEE Power Electronics Society and Google. In October 2015, 18 finalists were selected to bring their inverters to the National Renewable Energy Laboratory (NREL) for testing. 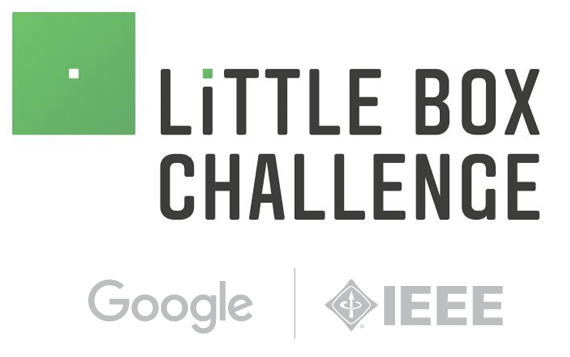 Today, Google and the IEEE are proud to announce that the grand prize winner of the $1 Million Little Box Challenge is CE+T Power’s Red Electrical Devils. The Red Electrical Devils (named after Belgium’s national soccer team) were declared the winner by a consensus of judges from Google, IEEE Power Electronics Society and NREL. Honorable mentions go to teams from Schneider Electric and Virginia Tech’s Future Energy Electronics Center. Schneider, Virginia Tech and The Red Electrical Devils all built 2kW inverters that passed 100 hours of testing at NREL, adhered to the technical specifications of the competition, and were recognized today in a ceremony at the ARPA-E Energy Innovation Summit in Washington, DC. Among the 3 finalists, the Red Electric Devils’ inverter had the highest power density and smallest volume. Impressively, the winning team exceeded the power density goal for the competition by a factor of 3, which is 10 times more compact than commercially available inverters! When we initially brainstormed technical targets for the Little Box Challenge, some of us at Google didn’t think such audacious goals could be achieved. Three teams from around the world proved decisively that it could be done. Our takeaway: Establish a worthy goal and smart people will exceed it! Congratulations again to CE+T Power’s Red Electrical Devils, Schneider Electric and Virginia Tech’s Future Energy Electronics and sincere thanks to our collaborators at IEEE and NREL. The finalist’s technical approach documents will be posted on the Little Box Challenge website until December 31, 2017. We hope this helps advance the state of the art and innovation in kW-scale inverters. This entry was posted in Research Blog and tagged Awards, renewable energy, Research on February 29, 2016 by Research Blog. This entry was posted in Google for Work Blog and tagged Chrome for Work, Google for Work on February 29, 2016 by Jane Smith. iOS Google Mobile Ads SDK 7.7.0 – now with bitcode support! We’ve added support for bitcode in the latest release of the iOS Google Mobile Ads SDK! The Enable Bitcode setting was introduced in Xcode 7 as one of the components of app thinning - a technique to help re-optimize your app binary in the future without having to submit a new version to the App Store. You can change this setting for your app in the project’s Build Settings. Under the Build Options section, set Enable Bitcode to Yes. Note that if you enable bitcode, all apps and frameworks in the app bundle need to include bitcode as well. With the new release, we’ve also made some additional changes, one of which is an added dependency for the MediaPlayer framework. You will need to link this framework to your app’s binary. If you are using CocoaPods, then running a simple pod update will do the trick. If you have any questions regarding the new iOS SDK release, feel free to contact us through our forum. This entry was posted in Ads Developer Blog and tagged ios, mobile_ads_sdk on February 29, 2016 by Google Ads Developer Advisor. This entry was posted in Google Developers Blog and tagged Project Tango on February 29, 2016 by Gary Lewis. As millions of people tuned in to watch the 88th Academy Awards, many also turned to the web to keep up with the action. In fact, Canada was the number one country searching for the Oscars worldwide, followed by the United States and Chile. We took a look at search interest in across the night’s biggest moments. The award for “most-searched”goes to Leonardo DiCaprio whose acceptance speech for Best Actor was the most-searched moment of the night and most searched speech following the ceremony. The 88th Academy Awards also featured several performances showcasing the nominees for Best Original Song. While Sam Smith took home the Oscar for "Writing's on the Wall" from Spectre, Lady Gaga’s performance for "Til It Happens to You" from The Hunting Ground was the most-searched in Canada. And despite not winning a statue, global search interest for Canada's The Weeknd increased by 488% following his performance. The red carpet is many people's favorite part of the show and we wanted to know which gowns caught people's attention. Afterall, Canadians tend to search for the looks they love, more than the looks that fell flat -- “best dressed” is searched 91% more on Google than “worst dressed” in Canada. Congratulations to all the winners - both online and offline! For the latest Canadian Google Trends, check back here weekly or follow along. This entry was posted in Google Canada Blog and tagged Search Trends, Trends on February 29, 2016 by Aaron Canada. There are many ways to start your journey with Google. As a university student, two great ways are AdCamp and BOLD Immersion (apply by March 1st 2016!). Take a look at Marcell’s journey with Google. My journey with Google began as an AdCamper (a.k.a. Google AdCamp participant). This is my story: I was doing a Master’s degree in Business Development and I was looking for career opportunities that would allow me to pursue my passion in marketing and advertising. I heard about AdCamp, so I went ahead and sent in my application (not really expecting to get a spot on the program). As part of the AdCamp application process, I submitted a sales pitch about Google’s advertising platform (AdWords) for a fictitious SMB organization. The pitch gave me an opportunity to really shine (later I learned that consultative pitching is something Googlers do regularly within SMB Sales). 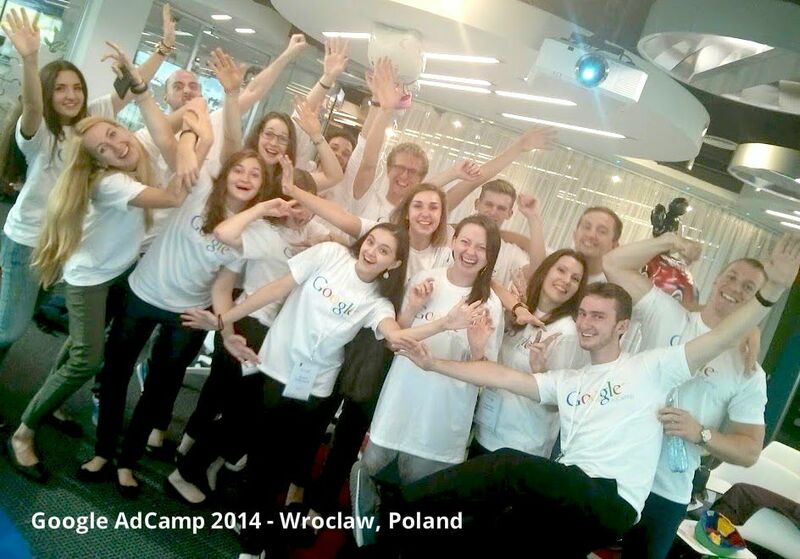 The next thing I know, I’m an AdCamper, exploring the Google Office in Wroclaw, Poland, with many other students from across Europe, the Middle East and Africa. I can honestly say that the program was truly a unique and memorable part of my journey with Google. Getting culturally immersed: One of the coolest things about the program was the exposure we got to Google's company culture — from the one-of-a-kind workspaces, the awesome Googlers we met along the way, to trying out the great food! Learning about life in the SMB team: I learned a lot about what they do in the SMB Sales and Global Customer Experience teams’ and found out how they operate in the digital advertising landscape, through sessions on YouTube as an ad platform, and talked about the importance of mobile in today’s marketing strategy. Finding out about career opportunities: We had a whole day to learn about Google’s recruitment processes, get help with our CV’s and take part in a mock interview with a recruiter. This really helped me better understand how I could potentially become a future Googler. After taking part in AdCamp, I went back to my studies and finished my degree. Having had this Google experience, I was ready to interview for a full-time role on the SMB Sales team — and it was a success! It’s now already been more than a year since I first stepped into Google Dublin as an Associate Account Strategist for the Hungarian market, and i’ve had a lot of fun along the way. If I had to describe our team’s vision in one sentence, I’d say: that our focus is on diversity, creativity and love for our customers whilst trying to help SMBs grow and achieve their business goals, by empowering them to become Micro-Multinationals through Google’s advertising solutions. Helping businesses grow: I’m responsible for a portfolio of clients. In many cases, they heavily rely on my expertise to run their whole online business strategy. This is both fascinating and challenging! Developing professionally: Being curious and learning fast is so important. This is why I attend a lot of in-house trainings and look for ways to think outside-of-the-box. Taking on new projects: I’ve also worked on projects outside of my team, such as facilitating a Negotiation Course with Googlers. During this year’s AdCamp program, I was also able to share my knowledge and experiences with participating ‘AdCampers’ — when only a year prior I was an ‘AdCamper’ myself! Find out even more about AdCamp EMEA and apply here (Apply by March 1st 2016)! This entry was posted in Student Blog and tagged Education, students on February 29, 2016 by Sarah H.